In the small crossover class, the 2018 Ford Escape and Jeep Cherokee stand out with their sporty engine options and world-class infotainment options. If you're wondering which model gets the best fuel economy or supplies the most comfort, check out our comparison guide. Here we'll help you decide which compact crossover is right for you. The Escape is our choice for interior comfort and passenger space. 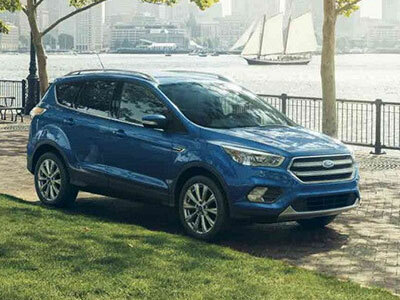 With the Ford's smooth, comfortable ride and supportive seating, the Escape is the perfect weekend warrior. The Ford has also got the most cargo space for your camping gear and weekend bags, with 34.3 cubic feet behind the rear seats. Flip down those seats to create 68 cubes of maximum passenger space. Like the Escape, the Jeep Cherokee lets you choose from upscale options, like leather upholstery and heated and ventilated front seats, making your ride as luxurious as you wish. In spite of this Jeep's off-road capabilities, the Cherokee is also surprisingly smooth and quiet on the road. The Escape is a bit roomier, especially when it comes to cargo space. Behind the Cherokee's rear seats, you'll find 24.6 cubic feet of cargo space for your weekend bags. Fold down the rear seats to create 54.9 cubes for moving boxes and sizeable sports gear. With Ford's innovative Sync 3 infotainment system, the Escape is basically the poster boy of staying connected. Sync 3 includes a crisp, 8-inch touchscreen and Ford's intuitive voice controls, which is easy to use in traffic. The system also features complete smartphone integration, complements of Android Auto and Apple CarPlay technology. Once you pair your phone with the central system, your phone, music, and maps apps display on the touchscreen. The new FordPass with Sync Connect app gives you the power to monitor your Escape's maintenance schedule, find parking, or remotely lock the doors. In the tech department, the Cherokee also has fine points. The Uconnect system is popular for its large graphics and straightforward phone pairing. It, too, includes Android Auto and Apple CarPlay capabilities. However, Jeep has yet to include a smartphone app that lets you keep track of your crossover from afar. The Cherokee is unique in the small crossover segment, because Jeep delivers true off-road capabilities vis-à-vis its capable four-wheel-drive systems. When you select the off-road-ready Jeep Cherokee Trailhawk trim, you can travel rugged trails in style. This model includes everything you need to master difficult terrain, such as off-road-oriented suspension tuning, a locking rear differential, and skid plates. The Escape may not be able to climb mountains or sand dunes, but this Ford does offer optional all-wheel drive. On wet or icy roads, this technology senses slippage and sends power to the rear wheels as needed. If the most rugged thing in your life is a wintery highway, the Escape will serve you just fine. Combine sporty power with impressive fuel economy in the 2018 Ford Escape. Depending on powertrain, this crossover SUV earns up to 23 city/30 highway mpg. 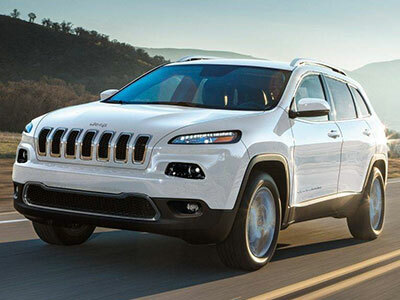 The Jeep Cherokee isn't too far off, however, earning up to 21/30 mpg. That's not a huge difference but should save you $50-100 annually. In the end, the 2018 Ford Escape is our first choice. This small crossover is the perfect size for city driving, but the Escape is also big on passenger space. The cabin is home to all the latest developments in infotainment technology, so you can stay connected without having to take your eyes off the road. The Escape also impresses with a powerful, fuel-efficient ride.